Norway's intelligence service PST has urged the authorities to exercise caution in doing business with Chinese companies, stressing Norway's vulnerability and Beijing's potential in intelligence-gathering operations. In particular, PST chief Benedicte Bjørnland asked the authorities to keep an eye on telecom giant Huawei because of its "apparent tight connections to Chinese authorities", Norwegian broadcaster NRK reported. "We have told everyone to pay attention to Huawei as a player in connection with the 5G network that will be built out," Bjørnland said at a conference presenting PST's annual threat evaluation. "It's not because we think anything is wrong with Huawei and its people who work in Norway," she clarified. At PST's briefing, Bjørnland was joined by Justice Minister Tor Mikkel Wara, who announced measures to be introduced to reduce the vulnerability of Norway's telecom network. The goal is to hinder the nation's largest mobile operators, such as Telenor, Telia and Ice from deals with equipment suppliers that could potentially undermine users' security and threaten the nation. Again, Huawei is the main target. PST stressed that it may be difficult for Norwegian telecom companies to uncover spying efforts or data manipulation. "Our impression is that Norway as a nation is vulnerable because we are one of the world's most digitalised societies," Bjørnland said. "A major part of our values is managed in the digital domain. We want people to be aware of that, so that those who own and manage these values are clear about the threats and reduce their own vulnerability. Don't be naive." Bjørnland saw a "great potential" for damage involving personal data, preparedness or defence issues. "Data attacks by foreign players are difficult to uncover, investigate or prosecute," she noted, stressing that a foreign country cannot be "called into court". Wara stressed that Norway shared the concerns of its major allies, the UK and the US, over Huawei. He also emphasised that both public and private actors in Norway could be subjected to espionage. At present, both Telenor and Telia use Huawei's mobile network systems in the existing 4G network. Huawei Norway security director Tore Larsen Orderløkken stressed that his company never gives access to data to any authorities. He also disavowed any ties to Chinese authorities, "apart from having headquarters in China". To dispel Norway's fears, the company went so far as to unveil a "security centre" to provide insight into the upcoming 5G network. Until recently, the Norwegian authorities had been keen to do business with China after the two countries finally mended fences over the Nobel Committee's decision to award the Nobel Peace Prize to Chinese dissident Liu Xiaobo. China responded strongly to PST's warnings, calling the Norwegian threat assessment "ridiculous", Norwegian broadcaster NRK reported. "It is rather ridiculous of the intelligence service to attack China on a purely hypothetical basis," the Chinese Embassy retorted. "By this logic, we can also say that China is exposed to threats from Norway, because Norway 'can have the capacity'". The European Union is currently considering proposals that would amount to a de-facto ban on Huawei's equipment for the 5G network. 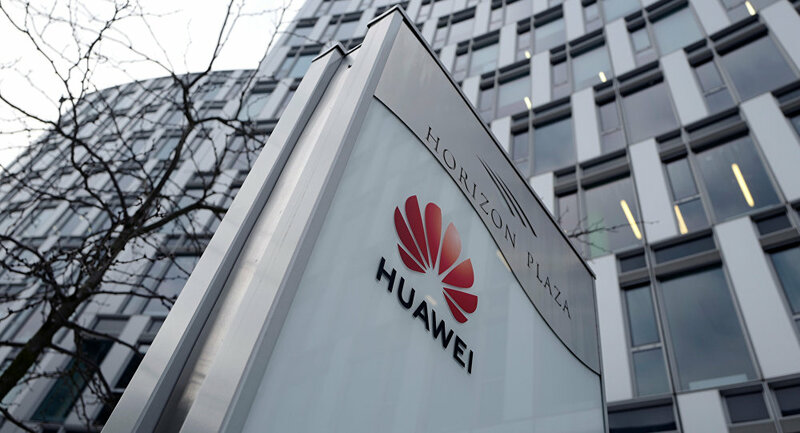 Earlier, EU commissioner for the digital single market Andrus Ansip urged EU states to exercise caution when dealing with Chinese tech companies, including Huawei. Several countries, including the US, Australia, New Zealand, Japan and Taiwan have previously blocked Huawei from taking part in their 5G network development. China, by contrast, has accused the governments of fabricating stories about Huawei. Huawei has 180,000 employees in 170 countries.